First, let me clarify. All readers of The Mailbox Blog are winners in my book. Being a teacher and a member of The Mailbox family defines winner! Today, I’d like to congratulate both Peg and Mary for being the winners in the random drawing for the “Make a Difference to Children Giveaway.” Both Peg and Mary win the The Mailbox book or eBook of their choice. Yippee for them! Now, let’s chat about student of the week. I’m a big fan. 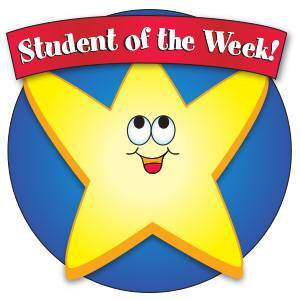 I think having a student of the week or a weekly Star Student is a great way to build community in the classroom. Yet I also understand that it’s one more thing to keep track of as a teacher. If you provide or plan to provide this opportunity for your students, please share your timesaving tips. Feel free to give us a quick summary of how your program works too! I love having a student of the week. Not only does it allow each student to shine for a week, but I can sometimes get some insight into my students. I have tried several ways to choose and track who has been student of the week – going alphabetically (though adding new students throughout the year can interfere with this), letting the students vote for the following week’s star student, and drawing names from a jar. I have thought about making a class book out of the information the students bring in for their Star Student board – adding to it each week and keeping it as a kind of yearbook (making copies of any pictures that need to be returned home). I thought you were picking 5 winners? Lauren, I think you may be thinking of the Be the Difference Wednesday Facebook Contest where leaving a comment on a specified Facebook post enters you to win. These winners are announced each Thursday on Facebook. Good luck! I love your site! The way we have to teach nowadays every child needs to know how important and special they are. People who make these tests don’t care about them- only the results. So all of us need to show how much we value these children by doing student of the week and other recognitions. I love star of the week with the kiddos. I have each child make a poster with their parents. They are absolutely amazing. The way I make it easier on me is I make them in August. I take a piece of construction paper add a die cut star and put Star of the week across the top and the child’s name. On the back I put the date the child becomes star of the week. I also place the date in my plan book. I place the poster in the children’s file one month before it their child will be star of the week and file the rest. The parents then decorate them with pictures of the child, favorites of the child and family things. They turn out great. After the week is up I post the star of the week poster on the wall in the coat room where everyone can see it.